I can’t help but love my job when I have good customers and catching plenty of fish. 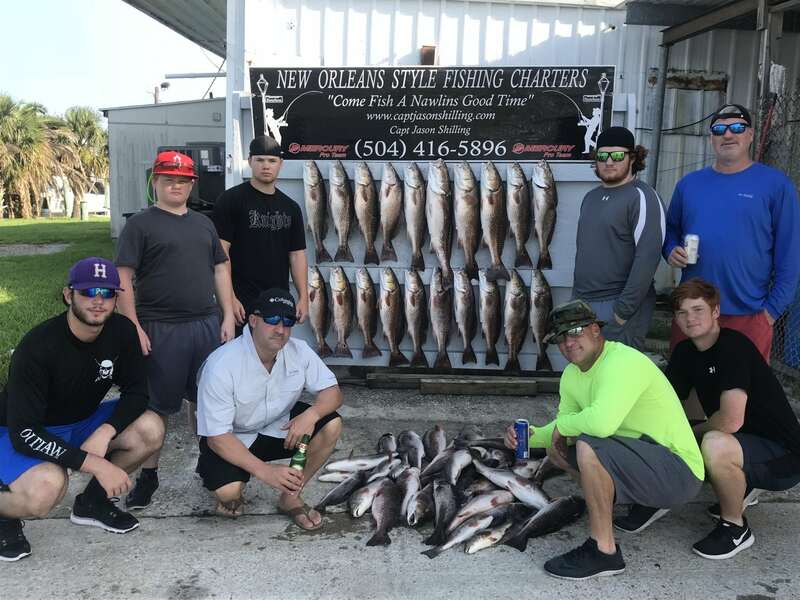 Red fish and speckle trout are what we have been chasing and doing a fine job of catching em. 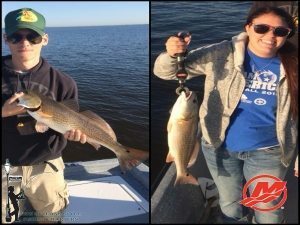 For the most part the red fish have been between 3-7lb with the occasional lil one and a couple in the 9-10lb range . As for the speckle trout they have been some beautiful trout for this area . Running in the 14-20″ at 1 1/2 to 2 lbs . Catching both species trolling the banks with plastic swim baits has been the most productive here lately. I did make a run out to the pass a couple days ago looking for the big bull reds . We found them between 20-30 lbs Its always a blast hooking into a fish that screams drag and bends the rod uncontrollably .